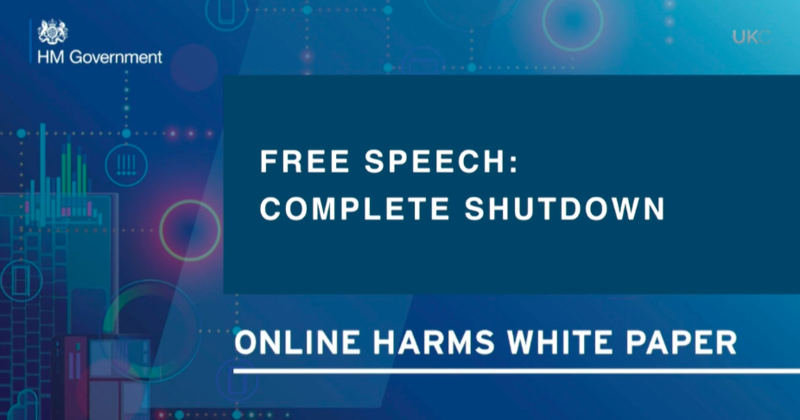 On Monday, 8 April 2019, the UK’s Home Office and Department for Digital, Culture, Media and Sport, jointly released a white paper on what they describe as ‘online harms’. 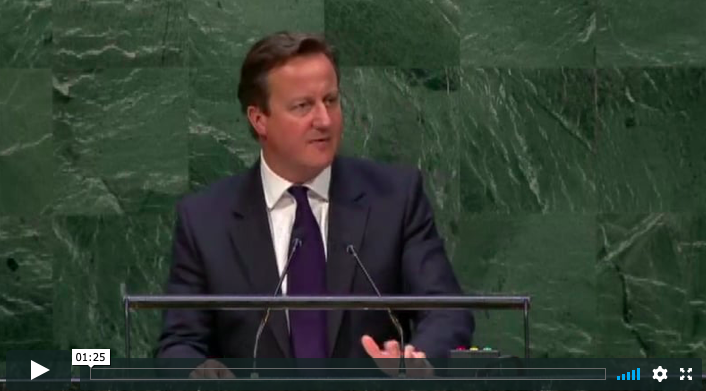 David Cameron tells the United Nations General Assembly that something must be done to prevent extremism – not just violent extremism – from appearing online. He makes it clear that he considers ‘extremism’ to include narratives on global events which are counter to his own. The German government approves a bill that punishes social networking sites if they fail to swiftly remove ‘illegal’ content such as ‘hate speech’ or defamatory ‘fake news’. Just like on the streets, there is also no room for criminal incitement on social networks … The internet affects the culture of debate and the atmosphere in our society. Verbal radicalization is often a preliminary stage to physical violence. ‘Experts’ from Google, Facebook and Twitter appear before Yvette Cooper’s Home Affairs Select Committee. The main concern of the inquiry seems to be online abuse of Members of Parliament. In the course of giving evidence, all three platforms admit to having added staff to their censorship teams. Facebook, for example, admits to having added 3000 staff to its ‘community operations’ team in the previous six months, plus 20,000 staff to their ‘safety and security’ team. Twitter and Google have recruited similar numbers into their equivilent teams. The ads are published in The Times, The Guardian and Daily Telegraph amongst others and list ten “things to look out for” when deciding if a story is genuine, including checking the article date and website address, as well as making sure it isn’t intended to be satire. Facebook says it has already removed “tens of thousands” of fake accounts and that it has set up systems to monitor the repeated posting of the same content. The G7 calls for Communication Service Providers and social media companies to substantially increase their efforts to address terrorist content … We encourage industry to act urgently in developing and sharing new technology and tools to improve the automatic detection of content promoting incitement to violence, and we commit to supporting industry efforts in this vein including the proposed industry-led forum for combating online extremism. … The new forum builds on initiatives including the EU Internet Forum and the Shared Industry Hash Database; discussions with the U.K. and other governments; and the conclusions of the recent G7 and European Council meetings. It will formalize and structure existing and future areas of collaboration between our companies and foster cooperation with smaller tech companies, civil society groups and academics, governments and supra-national bodies such as the EU and the U.N. This decision was based on the retrospective work we’ve been doing around the 2016 U.S. election and the U.S. intelligence community’s conclusion that both RT and Sputnik attempted to interfere with the election on behalf of the Russian government. We did not come to this decision lightly, and are taking this step now as part of our ongoing commitment to help protect the integrity of the user experience on Twitter. We are working on detecting and de-ranking those kinds of sites – it’s basically RT and Sputnik … We are well of aware of it [Russian ‘propaganda’], and we are trying to engineer the systems to prevent that [their content appearing high up in search results]. But we don’t want to ban the sites – that’s not how we operate. The Trust Project describes itself as “a consortium of top news companies” including the dpa news agency, The Economist, The Globe and Mail, Hearst Television, the Independent Journal Review, Haymarket Media, Institute for Nonprofit News, Italy’s La Repubblica and La Stampa, Mic, Reach Plc and The Washington Post. Search engines and social media companies are described as “external partners”. They say they aim to produce “trust indicators”: standardised disclosures “that provide clarity on a news organization’s ethics and other standards for fairness and accuracy, a journalist’s background, and the work behind a news story”, and which can be fed into search engines so that “quality news” can be brought to the top of search results. … And underpinning all of this is our determination to make the UK a world leader in innovation-friendly regulation. Today in a world of the Internet and clickbait, our press face critical challenges that threaten their livelihood and sustainability – with declining circulations and a changing media landscape. … In 2015, for every 100 pounds newspapers lost in print revenue they gained only 3 pounds in digital revenue. … Action is needed. Not based on what might have been needed years ago – but action now to address today’s problems. … Our new Digital Charter sets out the overarching programme of work to agree norms and rules for the online world and put them into practice. … And our review into the sustainability of high quality journalism will address concerns about the impact of the Internet on our news and media. Facebook reports that it has taken down 32 ‘suspicious’ pages and accounts that appear to have been run by ‘leftists’ and ‘minority activists’. Some within the US Administration claim the pages were probably run by ‘Russian agents’. Facebook says is does not know for sure. … We are committed to working with them [social media companies] as they look to fulfil their ethical responsibility to prevent terrorist, hostile state and criminal exploitation of internet carried services: shining a light on terrorists and paedophiles; taking down bomb making instructions; warning the authorities about attempts to acquire explosives precursors. Theresa May announces the establishment of “a new Rapid Response Mechanism (RRM)”, following Britain’s proposal for “a new, more formalised approach to tackling foreign interference across the G7” at the G7 Foreign Minister’s meeting the previous month. This agreement sends “a strong message that interference by Russia and other foreign states would not be tolerated,” she says. “This is an alarming development in light of the recent shutting down of pages that don’t fit a mainstream narrative,” they say. The UK Council for Internet Safety (UKCIS) is the successor to the UK Council for Child Internet Safety (UKCCIS). It has an ‘expanded scope’ to improve online safety for everyone in the UK. They say they made their decision having “carefully” evaluated the results of a half-year-long pilot. The Rapid Response Unit, the Cabinet Office ‘fake news unit’ established in April 2018, is given permanent funding to continue its work monitoring social media and making sure the government narrative appears at the top of search rankings. I think these days a lot of people don’t want tech companies or any private companies to be making so many decisions about what speech is acceptable and what this harmful content that needs to be gets taken down. A new statutory ‘duty of care’ to make companies take “more responsibility” for the content or activity on their services. This will apply to all platforms of whatever size which permit user interaction such as forums or comments, and carries the potential for massive fines and imprisonment.